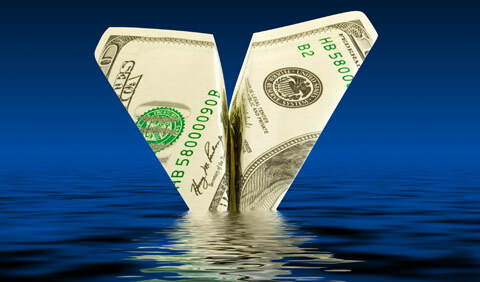 This has led many to speculate that the end for the world’s reserve currency is nigh. Net capital outflows might conceivably have run around -$200bn, an acceleration from Q1 and beyond anything seen historically. Granted, this is smaller than JPM’s $520 billion number but this also captures a far shorter time period. Annualizing a $224 billion outflow in one quarter would lead to an unprecedented $1 trillion capital outflow out of China for the year. Needless to say, a capital exodus of that pace and magnitude would suggest that something is very, very wrong with not only China’s economy, but its capital markets, and last but not least, its capital controls, which prohibit any substantial outbound capital flight (at least for ordinary people, the Politburo is clearly exempt from the regulations for the “common folk”). Forget about what stock markets are doing because, as noted, that is just a diversion. Focus instead on the bond markets, which are massive in comparison to stocks. 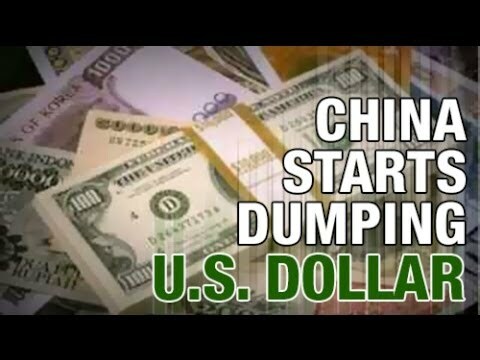 As we can see, China is actively and rapidly dumping U.S. dollars, with the last three months accounting for nearly half of that sell-off. This is not a sign of a stabilized global marketplace and we may well be witnessing the beginning of a massive worldwide collapse of the current economic, financial and monetary paradigm. We certainly don’t expect this to happen overnight, but as we’ve noted previously, we are on the cusp of an unprecedented event in world history. The real possibility of this event coming to pass is what is driving not just the government to prepare for widespread economic collapse scenarios and the civil unrest that will follow, but has also sent the world’s elite scrambling to hideaways and bunkers in an effort to avoid the inevitable violence that erupts when resource shortages become the norm. For those who have yet to take steps to prepare for disaster, we point your attention to Greece, where a similar event has happened on a smaller scale. Things have gotten so bad that Greeks are dumpster diving for food and standing in hours-long lines just to get a government-approved $75 withdrawal out of their ATM. Most people – about 99% at last count – have failed to prepare for even minor disruptions such as those in Greece. Transportation systems are just one part of a critical chain dependent specifically on the availability of credit. Should that credit be disrupted because of currency upheaval or economic collapse, we could well face Greece on a massive scale across America, complete with all the violence that results when people have been driven to the breaking point. The takeaway from the latest revelations coming out of China? It’s simple. Prepare for the imminent collapse of our current paradigm. Failure to do so will leave you and those you love literally fighting over garbage scraps.